Welcome back to the second part in the All About Etsy Series! 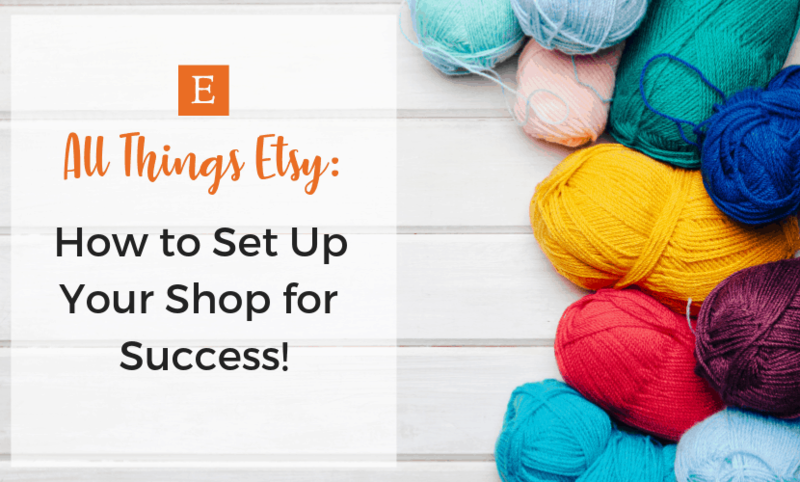 Last time, we went over a couple of things you needed to know before you start selling on Etsy. And now that you’re aware of the fees and time it takes to run an Etsy business, you’re ready to dive in and start! 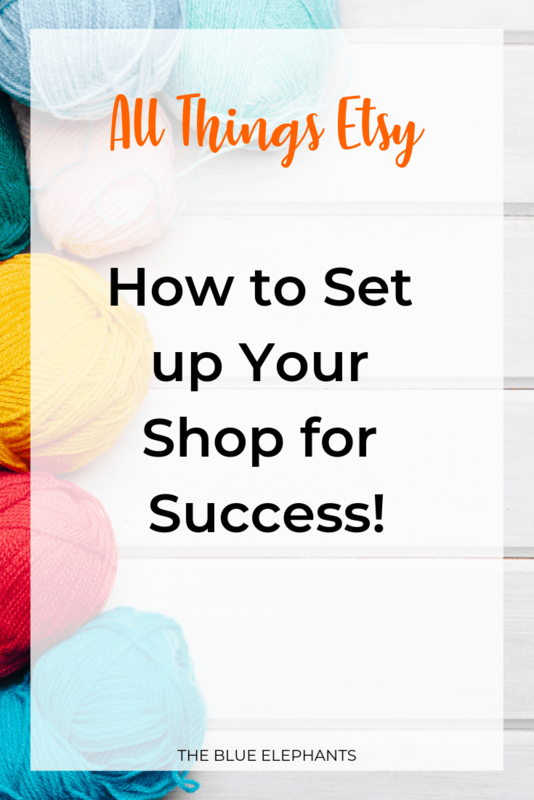 Today, we’re going to talk about how to set up an Etsy shop and hit the ground running. Before we get into this post, use the Brand Identity Plan I created to organize your thought. 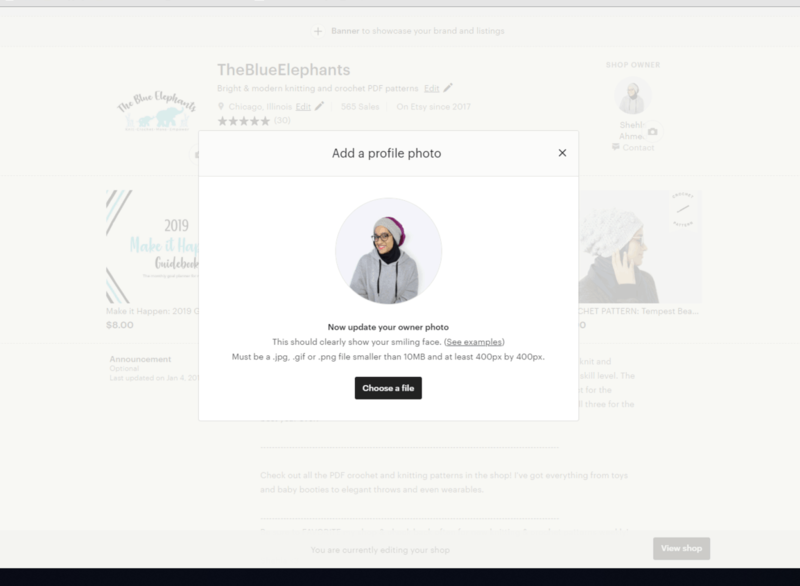 I talked a lot about using keywords and images that fit your branding in how to set up an Etsy shop, and it’s important to have some of it figured out before you start. 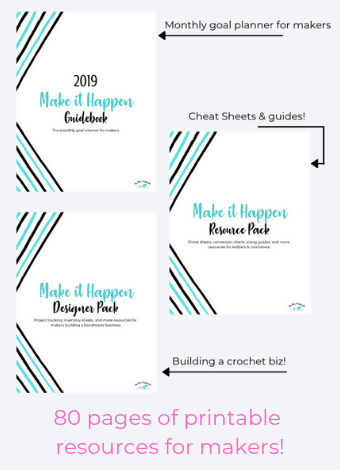 You can grab it by clicking the button below, or flip to that page if you already have the Make it Happen: Designer Pack. This workbook walks you through some of the key elements of branding and what it means. It’s more than just what images and fonts you use! 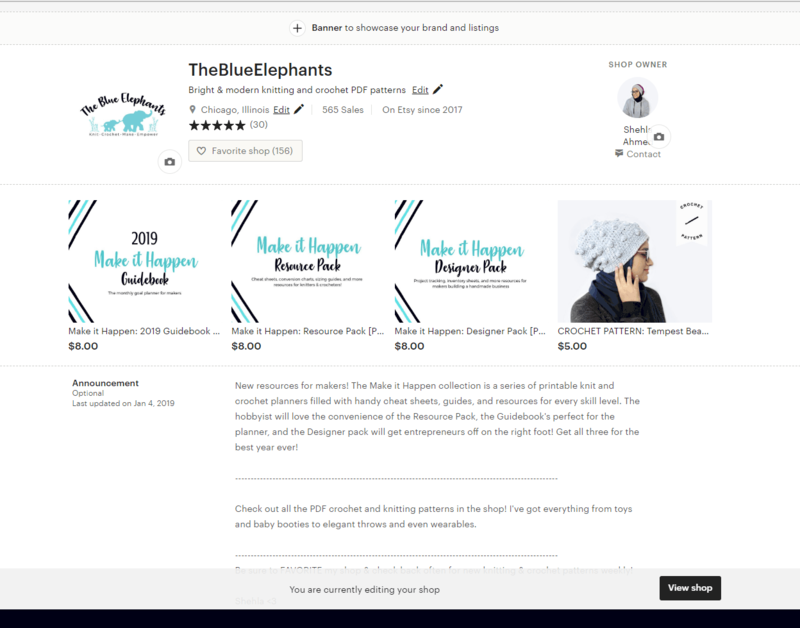 If you’re opening up a new shop, you can grab your first 40 listings free using my link below, and that will take you to the first steps of getting your shop ready. It will take you to a page where you can click Open a Shop Today and register with your email address. Once you register, Etsy will guide you through the initial set up and I can talk you through it as well. This is the first screen you’ll see. Go ahead and choose your language, country, and currency from the drop-down menus. 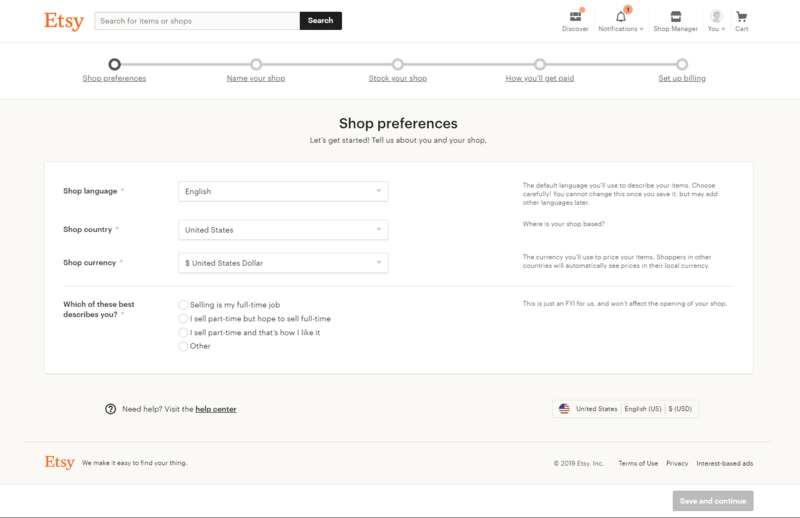 Select the statement that describes your shop – Etsy just uses this to understand its users, but it doesn’t affect anything in your shop. Give your shop a name! 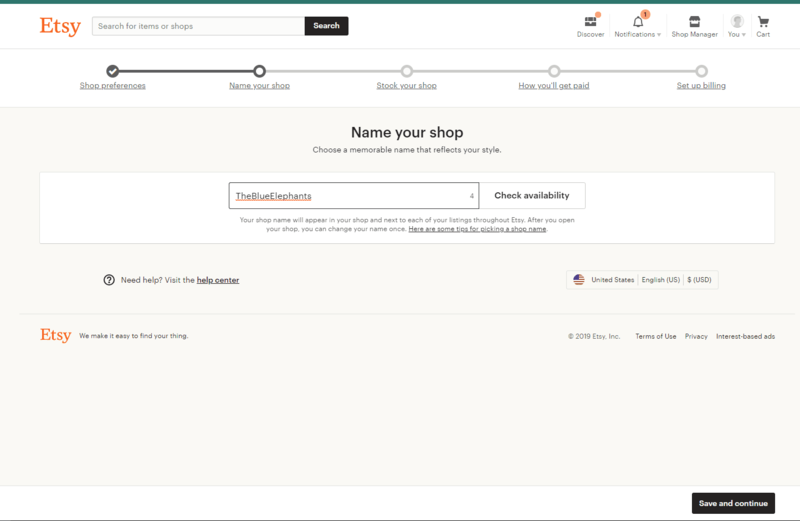 This is what you’ll see in the URL as www.etsy.com/shop/YOURSHOPNAME, so no spaces or special characters. This can be whatever you want, but keep in mind that you can only change it once after you open shop. After that, if you want to change it, you’ll have to fill out forms and give a good reason. If you grabbed the Brand Identity Planner from the last lesson, there’s a page to brainstorm some shop names ideas. Pick one that you love and can imagine fitting your brand and its purpose, even as you grow. For example, I chose the blue elephants because it was a symbol of family, lead by matriarchs but it was general enough that it didn’t tie me specifically to knitting and crochet. That made it easier for me to branch out into creating other digital products! The next step is to stock your stock with listings, but we’re going to skip this step for now. Since you need to put something to move forward, go ahead and create a demo listing just to have something there. Don’t hit publish on the listing though! Just save and move on to the next thing. The last two screens are all about how you want to get paid and how you’ll pay Etsy the fees they’re owed. Go ahead and fill out this information with your preferences and we can open a shop. Congrats, you are now an Etsy shop owner! There’s still a bit of work to be done though, so let’s move on to the public side of things and work on how your shop appears to others. Now that you’re shop is registered, we can work on setting up all the information about your shop that your customers will see. Shop owner image – Use a bright, clear headshot. You don’t need to take a professional photo but make sure your image is well lit and has your smiling face! This is the face you are presenting to your customers as a shop owner, businesswoman extraordinaire. So ditch the blurry photo from that night out last year and take a nice, new photo that matches the feel of the shop you want. Shop icon – this is a logo or image associated with your shop. Again, you don’t need to have it professionally made (yet), but you can if you want to. 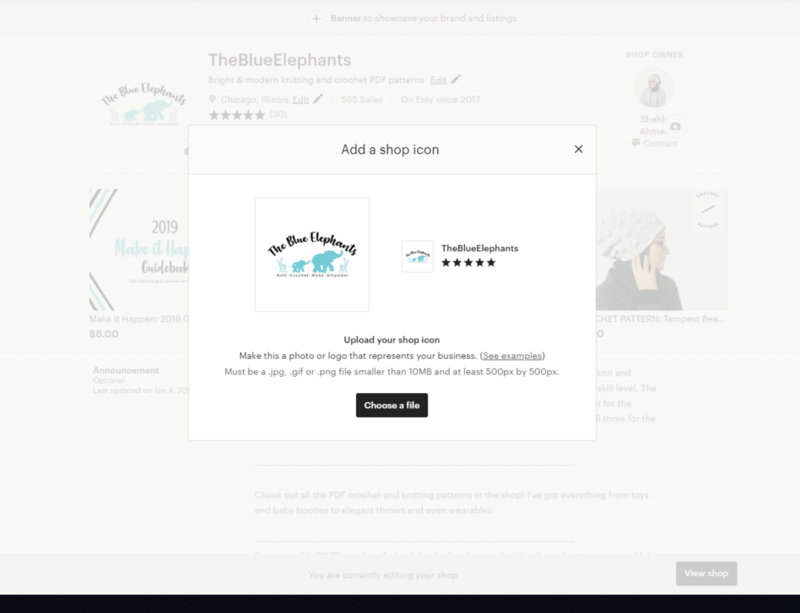 You can create your own logo using Canva, a free program that’s full of templates, images, and text options you can use to make your logo. 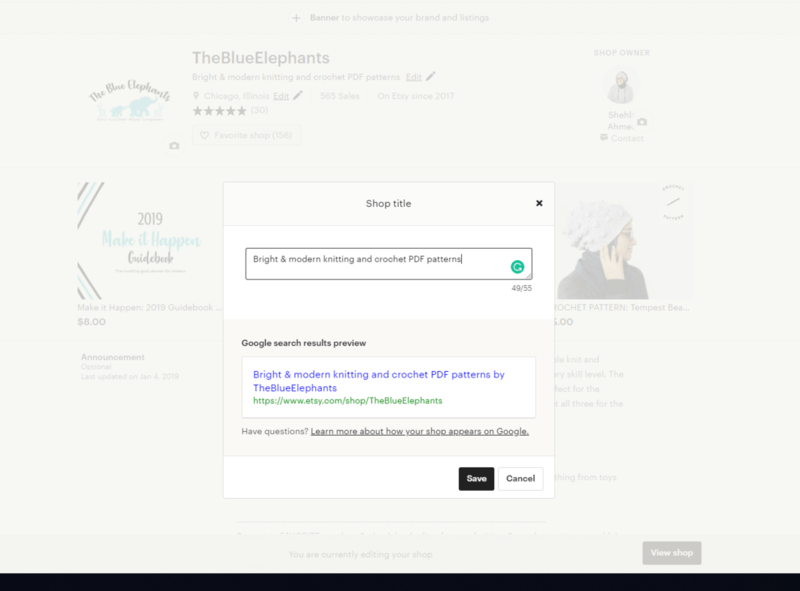 Shop title – This is the line of text that appears under your shop name, and it’s what shows up along with your shop in Google. Think like a shopper here and use keywords that describe what your shop is and what you sell. Keep it short though – you’re only allowed 55 characters. 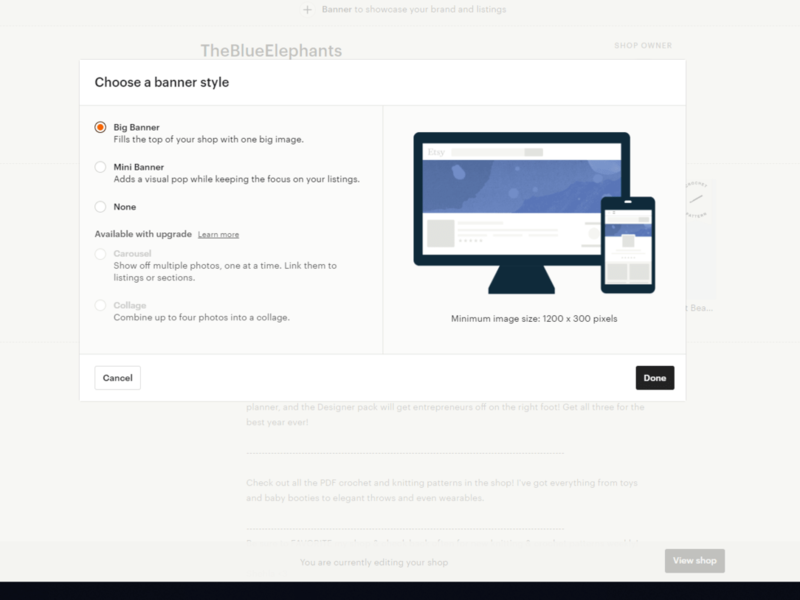 Shop banner – This is the big image at the top of your page. It’s a great place to show off your brand more whether it’s with a styled picture of your items or an image that conveys the feel of your brand. You can use Canva to create this image too. About section – What’s your shop about? Here is your chance to talk about your shop’s story, why you do what you do, and create a relatable experience that makes people want to buy from you. 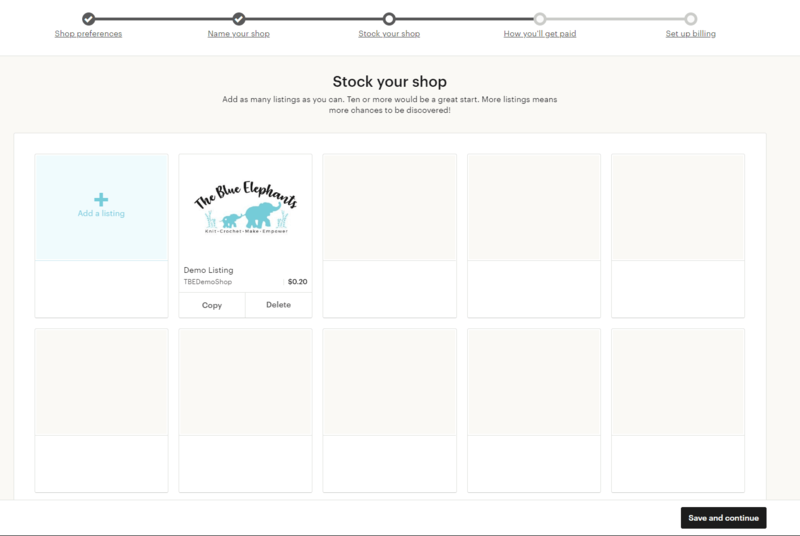 You can use this space to explain how your products are made or what impact you have. Searches index this part of your shop too, so use keywords to describe what’s special about your shop and answer any questions someone passing through may have. Social Media – link to your shop’s social media accounts so people can follow you! Shop members – Write a short introduction for yourself and anyone else that’s part of your business. Are you working with a spouse or friend? Write what roles you play in the shop so customers can get to know you. It creates trust when you can see that real people are behind the business. Policies – Finally, we’re done to the shop policies section. This is where you can tell buyers about your return policies, what payment you accept and just set some rules. This section is super important because it lays everything out in the open about what you do/do not accept, so there’s no doubt. 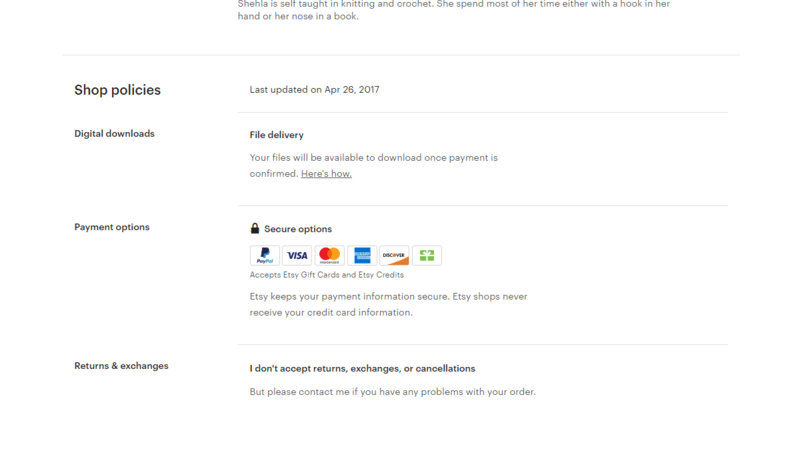 I sell digital products, so it doesn’t make sense for me to offer returns on an item once it’s been downloaded. 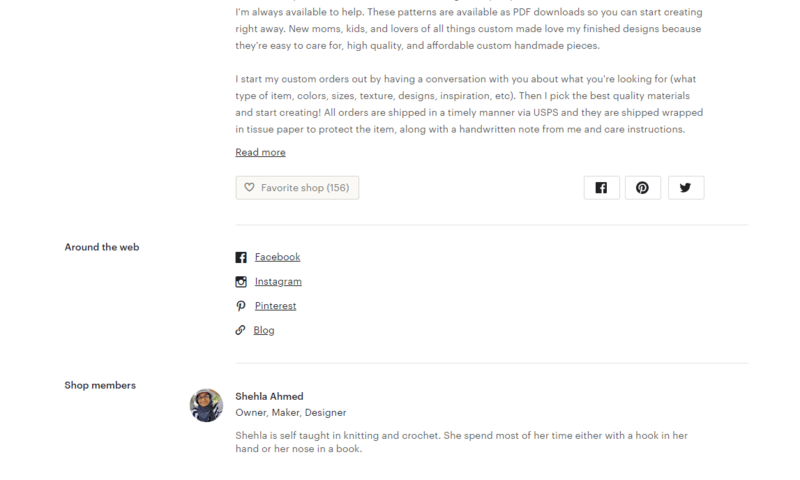 So if someone buys a pattern thinking it’s the finished object and demands a refund, I can point them back to my policies where I’ve already addressed that issue. FAQs – Anticipate what questions your buyers may have and answer them here. What are some concerns they may have? Make it easy for them to hit purchase knowing they’re getting what they expect. 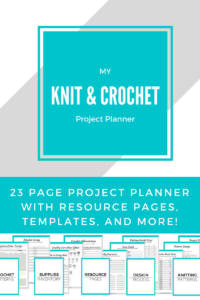 We’ll cover how to create listings in the next part, but be sure to grab the Brand Identity Planner if you haven’t already! Thanks so much for hanging out with me. I hope you’re enjoying this series so far and are ready to keep going! This week is all about Etsy and I can’t wait to see you guys succeed. If you have any questions you want me to address or really deep dive into, let me know in the comments below and I’ll do my best to get you those answers.